Today ! The personal freedoms develop in world. There are properties for everyone: small second residences and luxury villas, residences currently being built for private individuals as well as for investors. 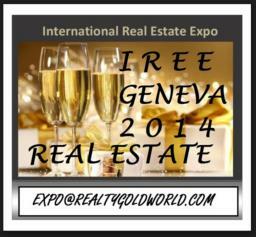 From many years, the organizers of this event work in this way, Geneva is an international market place and receives worldwide visitors and exhibitors every years. • Price of the package – 1400 £ GBP booking until december 31th and 50% payment.